Emergency Medicine Update Europe is in its sixth edition and we like to think that “EMU Europe” has come to stand for outstanding innovative continuing medical education combined with custom travel at the highest level. Every trip we push ourselves harder to take the conference to greater heights and for 2019, we have our sights set on the Italian island of Sicily. We will base ourselves in the deluxe 5-star Verdura Resort, a member of the luxury Rocco Forte Collection nestled on the southern coast of the island. The resort occupies nearly two kilometers of private Mediterranean coastline. It is home to three Kyle Phillips golf courses, a 60-metre infinity pool, six clay tennis courts, a world-class spa, four restaurants and five bars. The rooms are large and each one has an uninterrupted view of the azure water from a private terrace. The surrounding towns and villages are simple and it often feels as if you have stepped back in time. But never is the feeling of time travel stronger than when we hike and bike into the Ancient Greek ruins scattered through the trip – Eraclea Minoa, Selinute and the staggering Valley of the Temples - some of the world’s greatest archaeological sites. Naturally, we will eat and drink well. The fish is caught daily in the nearby town of Sciacca by the local small boat fleet. Fresh fruit grows all year round and the trees will be full of blood oranges and Siracuse lemons when we are there. The menus will offer arancini, pasta all Norma or con le sarde, caponata, caciocavallo and naturally cannoli and cassata for dessert. Olive groves and vineyards are everywhere and we will get a close-up look at the production of both oil and wine when we enjoy private tastings and dinners at the wineries of Planeta Ulmo and Cantine de Gregorio. But of course, we take as much pride in delivering an outstanding, innovative emergency medicine education program – with expert speakers, novel teaching methods, essential topics and engaged participants. As an educator – I guarantee it. 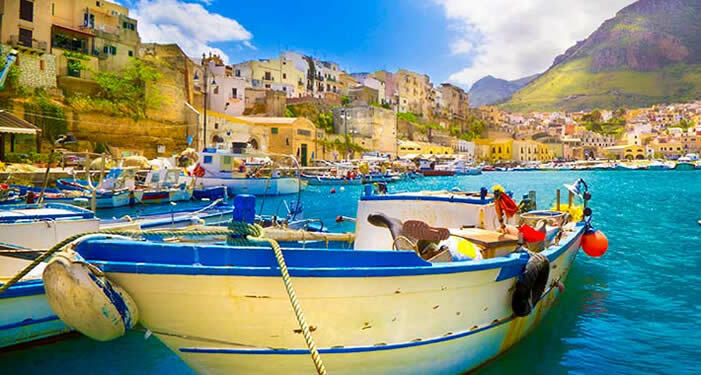 Don’t miss out on the pre-trip in Palermo - a city full of history and architectural wonders that has passed through the hands of Phoenicia, Carthage, the Roman Empire, the Byzantine Empire, the Moors, the Normans and finally into the Kingdom of Sicily. Tom Hamilton and his team has designed a program that combines all the things you have come to appreciate about Benefactor Travel – hassle free first class travel, great food and special access – as we tour private Palermo beyond the typical tourist sites. Opportunities like this don’t come along too often. Space is limited. Don’t delay. We truly hope that you can join us in 2019 for what promises to be a very special journey to the golden island of Sicily.